Ready to see my newly recovered ottoman from the thrift shop? 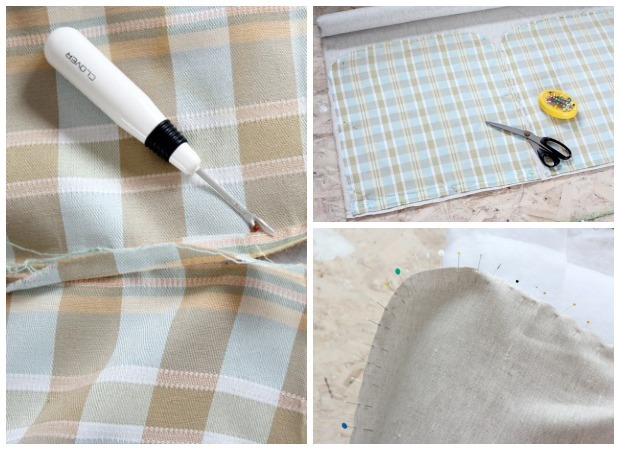 Upholstering it in linen fabric turned out to be an easier DIY project than I first thought! 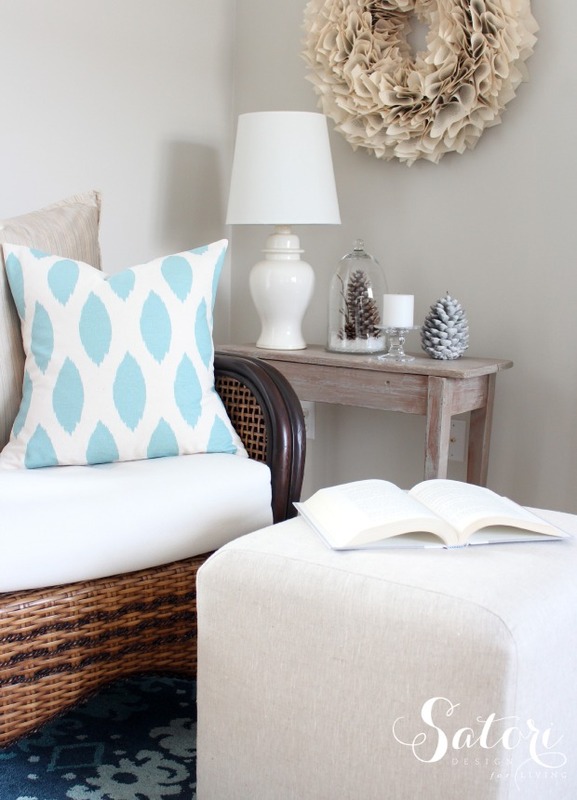 Did you enjoy the DIY twig projects from week one of the One Item Project Challenge? So much fun! For this week, I chose fabric as the medium we all had to work with. When Online Fabric Store got wind of what we were up to for this series, they definitely wanted to be part of it. The tricky part for me was deciding which fabrics to order. It took everything in me not to fall down a rabbit hole looking at all of the beautiful options! 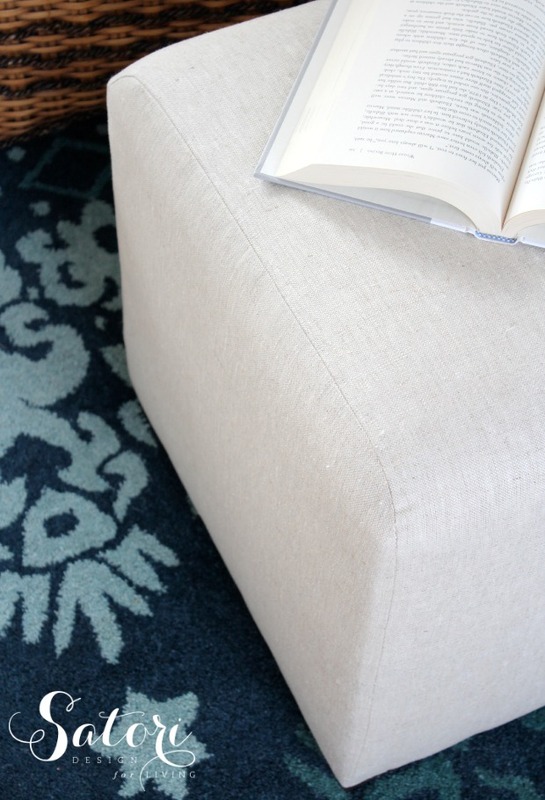 When I started our living room makeover back in September, the vision was to lighten and brighten the space, while maintaining some warmth to get us through the winter months. 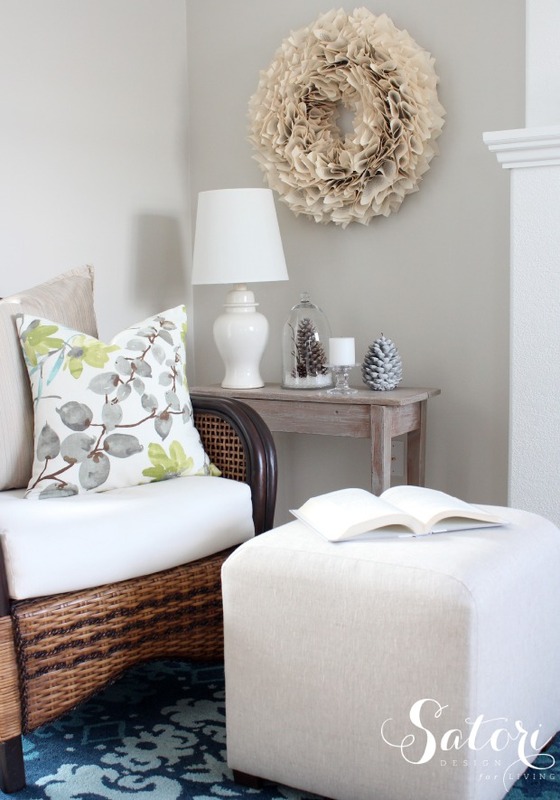 Already having a taupe sofa and chair upholstered in a chunky chenille fabric (that we plan on keeping for a few more years), meant there were some limitations as to what would work in the room for pillows, drapery and an ottoman. Dismantling the ottoman took a little longer than I thought. I removed the legs- easy. I removed the bottom cover- not so bad. 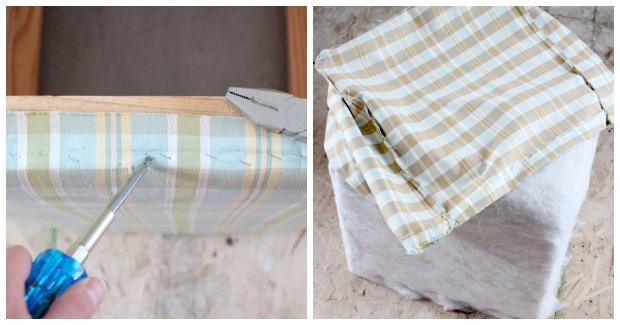 Then, I proceeded to remove the staples that secured the plaid fabric to the box- challenging! Two “You’ve Gotta Eat Here” TV episodes later, and I finally had the staples out and was able to pull off the cover. Ouch! Using a stitch ripper, I took the cover apart to use as a pattern for the new fabric. I used the belgian linen fabric since it was a good weight for upholstery (just need to keep my coffee-spilling husband away from it!). I cut it out and carefully pinned it around the bends. After stitching, I gave all the seams a good pressing. Although the guts of the ottoman were in pretty good shape, I decided to add one more layer of batting across the top. Starting with the cover inside out, I matched up each corner and started pulling it down working my way around. I found it best to go slow and keep adjusting to make sure everything was straight and tight. Then I simply stapled it at the bottom starting in each center and working out and, finally, re-attached the legs. 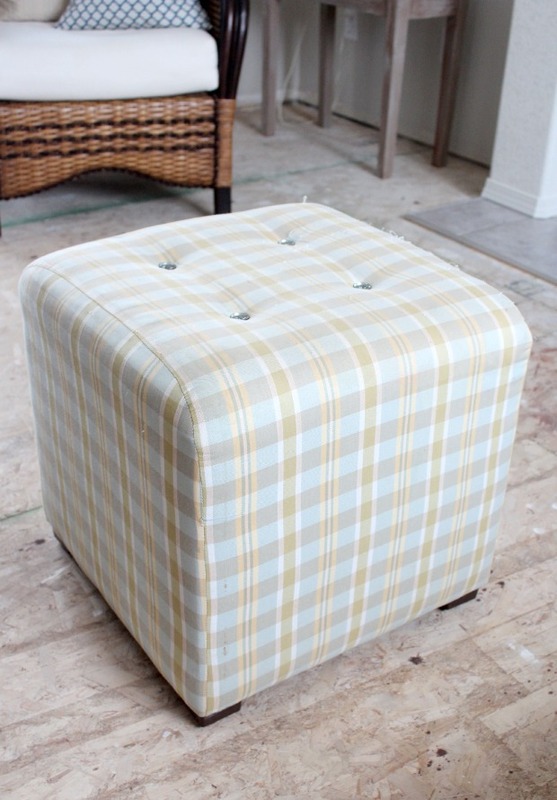 For now, I decided not to do the button tufting because I like the way the newly recovered ottoman looks without. However, I did leave the bottom open just in case I change my mind. 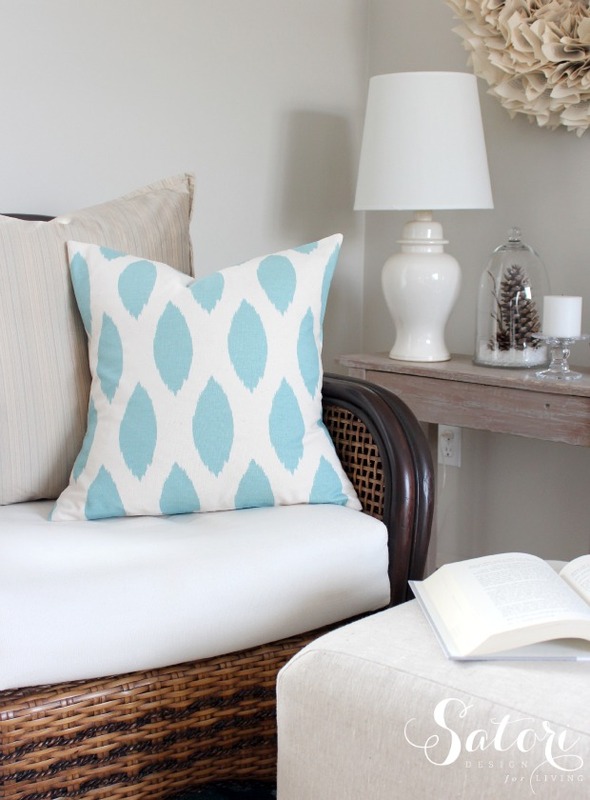 With the other fabrics, I sewed envelope pillow covers that I’ll share more about in an upcoming living room post. So far, I’m enjoying the subtle injection of colour and added texture to the space. I’m not sure which pillow I like better on this chair. You? Notice my book page wreath I made last year? It’s still one of my favourites. Wondering what the last craft item will be for the One Item Project Challenge? Check back next Wednesday to get the scoop. Can’t wait! Thank you to Online Fabric Store for supplying materials for this sewing project. GREAT tutorial Shauna!! 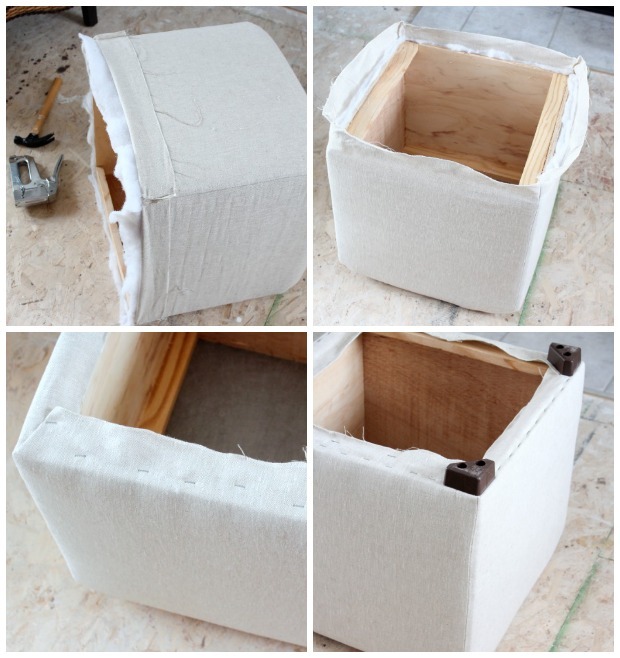 I’ve always wondered how to reupholster an ottoman! LOOKS FABULOUS! I wasn’t sure they’d all work together only seeing them on the computer screen. So thrilled when they arrived! What a quick improvement! Looks Fab, I love the fabric you chose for the pillows! Looks so good, Shauna! 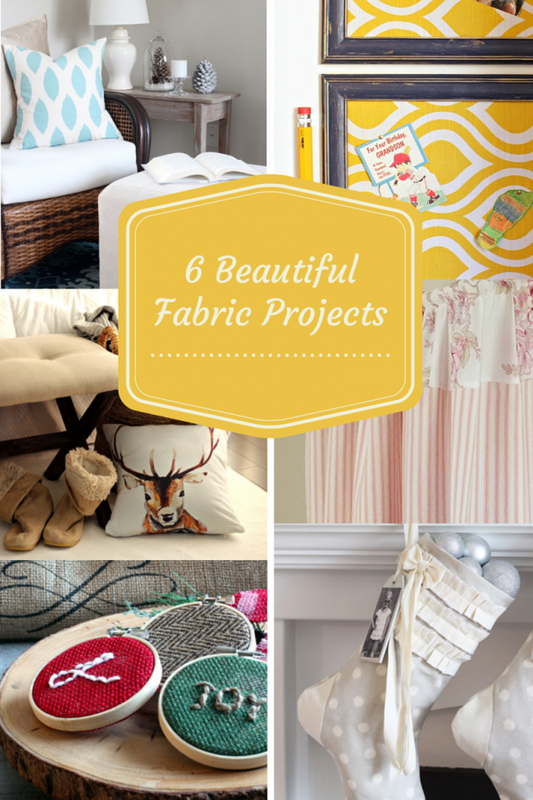 Love the fabrics you chose, they all work really well together. 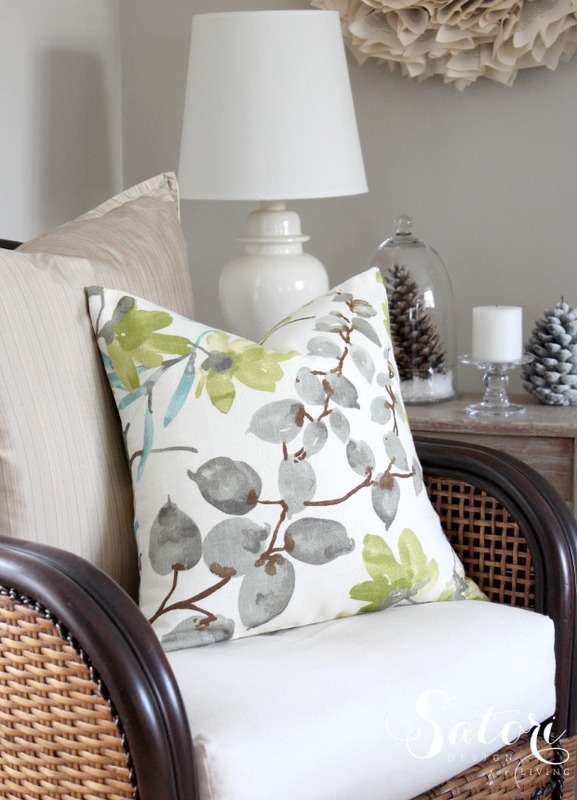 I really love the flower/leaf pattern pillow fabric, beautiful! It’s a gorgeous quality fabric too! Can’t wait to make something else with the rest. What a fabulous makeover, Shauna! 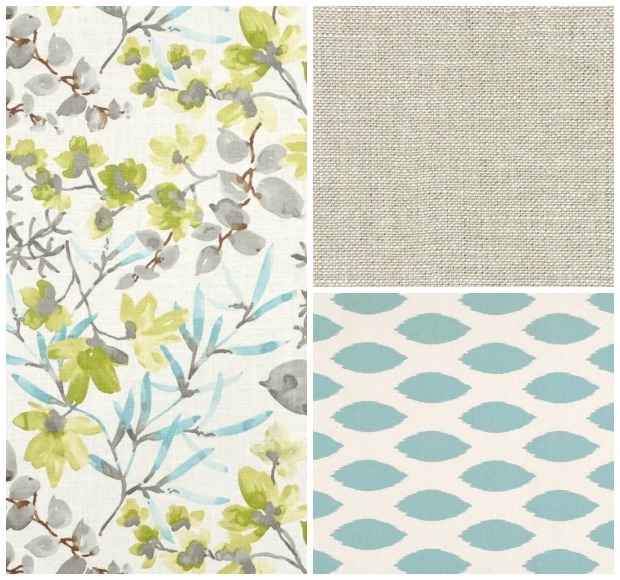 I love the beautiful texture of the neutral fabric, and gazebo cloud is one of my favourites! The chipper blue is so fresh and adorable too, hard choice as to what should go where?! Can’t wait to see more of this space to come! Rewarding, right? It’s one of those projects that’s intimidating until you get into it and see it’s not so bad after all! 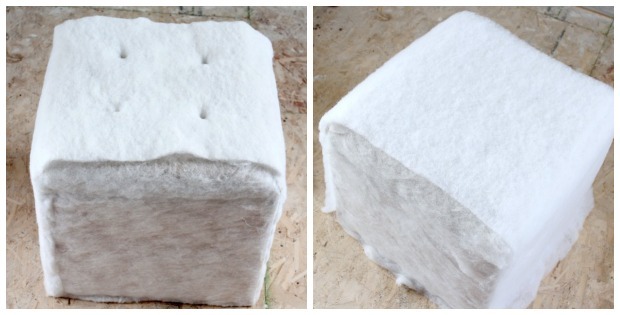 I love your new ottoman makeover. You not only did a nice job, I also love the fabric choice you choose to cover it. Simply beautiful!